If you are looking to establish the biological father of a child for your peace of mind, you can collect your DNA test samples using our paternity test kit in the comfort of your own home. Follow four simple steps: buy your collection kit, painlessly collect your cheek cell DNA samples, post back to our laboratory and receive your results by email. AlphaBiolabs uses statistical analysis to evaluate the amount of DNA shared between the individuals tested to deduce a biological relationship. For example, full siblings usually have more DNA in common than half-siblings, while half siblings normally share more DNA than unrelated persons. Guaranteed results or your money back. AlphaBiolabs’ aunt DNA testing has an accuracy rate of 100%. Statistical analysis is used to evaluate the amount of DNA shared between the individuals tested to deduce a biological relationship. Guaranteed results or your money back. Uncle DNA testing is often needed when the alleged father or mother is deceased or unwilling to participate in the testing process, and the uncle of the child would like to establish their biological relationship to the child. Guaranteed results or your money back. Grandparent DNA testing can be used to establish a biological relationship between an individual and one or more of their alleged grandparents. This test compares the Y chromosome profiles of the tested males to help confirm if individuals share a biological father without actually carrying out a paternity test. A full match between profiles confirms a shared paternal line. If the male siblings have different Y chromosome profiles then they do not share the same paternal line. Our prenatal DNA test is the UK’s most accurate non-invasive method to determine paternity of the baby before birth. There is no risk to the mother or the unborn child when taking this test. Twin DNA testing (also known as zygosity testing) is used to determine whether multiple children from the same birth (twins, triplets, quadruplets, etc.) are genetically identical or not. Identical siblings will have identical DNA. A twin DNA test makes a unique gift idea for multiple birth parents or their children, and the DNA certificate can be used as a special keepsake or even wall art. 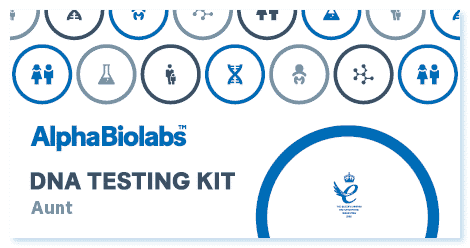 It is advisable to have a single DNA profile if you are planning to work in high risk areas or in an occupation that may be deemed dangerous. In the event of an accident, having your DNA profile already documented may make body identification easier. Some people request their genetic profile to create a unique piece of art. 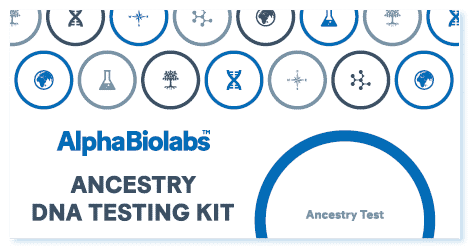 If you are curious and interested in researching your family history, or you simply want to learn more about you and your background, ancestry DNA testing can provide you with a clearer understanding of your genetic ancestry and provide a platform for further research about your likely ancestors. 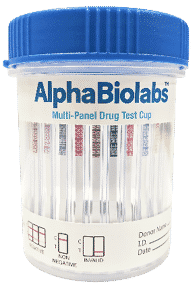 With the AlphaBiolabs cup 14 panel drug test, you’ll get a fully integrated screening kit with a sealed snap-tight lid that is guaranteed not to leak. The design eliminates the handling of the urine, including no pouring or dipping. If you do not see the test you require here please call 0333 600 1300 and we will try our best to help.